TEHRAN, Iran, February 11,2018 (ENS) – An Iranian-Canadian academic and environmental activist imprisoned by Iranian authorities in January has died in prison, his son said Saturday on Twitter. Kavous Seyed-Emami, 63, was a founder of the Persian Wildlife Heritage Foundation, which works to protect Iran’s rare animals and fresh water supplies. He was serving as its managing director at the time of his death. 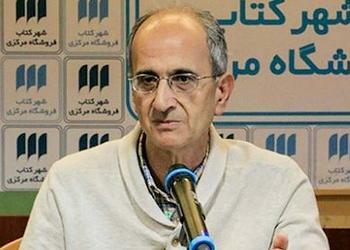 Seyed-Emami was also a professor of sociology at Tehran’s Imam Sadiq University. He received his doctorate in sociology from the University of Oregon in 1991, according to an alumni listing on the university website. Seyed-Emami’s son, the Iranian musician Raam Emami who goes by the stage name King Raam, wrote on Twitter that his father was arrested on January 24, and that his mother had been informed of Emami’s death on February 9. On Instagram, Raam Emami wrote that the authorities said his father had committed suicide. Seyed-Emami, was detained last month, according to Hadi Ghaemi, executive director of the New York-based Center for Human Rights in Iran. Ghaemi called the Persian Wildlife Heritage Foundation “the leading environmental NGO in Iran,” and said Seyed-Emami was detained along with other members of the PWHF. CHRI has learned that on the same day as Seyed-Emami’s arrest, at least nine other staff members and executives of the Persian Heritage Wildlife Foundation were also taken into custody in Tehran, according to a relative of one of the detainees who asked not to be identified. Raam Emami and the Center for Human Rights in Iran say that the Tehran prosecutor’s office told Seyed-Emami’s family that he committed suicide by hanging himself while in Evin Prison. Tehran prosecutor Abbas Jafari Dolatabadi confirmed the professor’s death Sunday, saying he had been detained in an alleged espionage ring. “The Center for Human Rights in Iran, CHRI, holds the Iranian Judiciary fully responsible for the death of Seyed-Emami and calls for an immediate, international UN-led investigation into the three deaths that have occurred in custody in Iran in the past 40 days,” the Center says on its website. “Iranian authorities must also immediately stop harassing Seyed-Emami’s family and cease pressuring them into conducting a burial before the completion of an independent autopsy and medical investigation of the cause of death,” demanded CHRI. Activists say there have been other suspicious deaths among detainees that have been labelled as suicides. 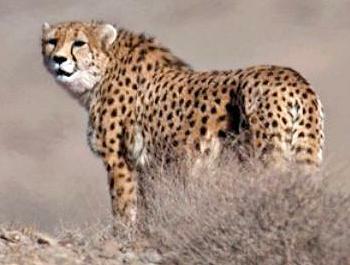 The Asiatic cheetah, Asiatic black bear, Persian leopard and various species of wild sheep are the animals on which the Persian Wildlife Heritage Foundation currently focuses its conservation efforts. In an editorial for the 2016-17 Persian Wildlife Heritage Foundation Annual Report, Seyed-Emami explained his approach to environmental conservation. “Research around the world shows that the rate of extinction induced by human activities and changes to nature brought on by our civilization, such as climate change, is on the increase,” wrote Seyed-Emami. “Conservationists should however not stop their efforts. Rather, they should focus on success stories to gain hope and learn from their own endeavors to reverse the loss of fauna and flora,” he wrote. “They should continue to play their part in safeguarding the Earth for humanity and all other forms of life. The lesson we have learnt is that we must stay true to the course we have embarked on, never shying away from the challenges we face,” Seyed-Emami wrote.